Add the quinoa into a boiling pot of water, cover and cook over low heat for 12 minutes until al dente. Transfer to a bowl and leave to cool. In a separate bowl, add all salad ingredients and quinoa and mix well together. 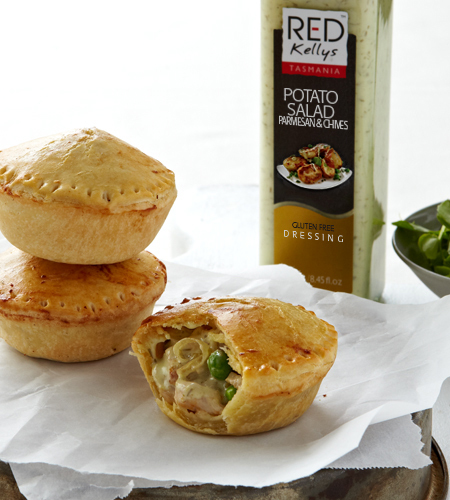 Season to your preferred taste by adding more or less salt and Red Kellys Lemon & Oregano Dressing. Serve and enjoy! Rinse the quinoa before cooking as this will remove its natural coating, the saponin, which makes it bitter or soapy. 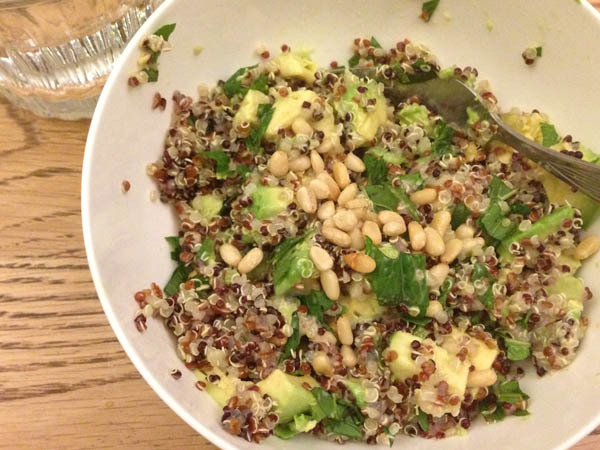 You could add olive oil or butter to your quinoa. Check the water and the texture of the quinoa a few minutes before the end of the suggested cooking time. If the quinoa is done to how you like it, drain it. Otherwise, cook it a bit longer, by adding a drizzle more water as necessary. To plump up the kernels, you can allow it to steam off the heat with the lid on for a few extra minutes.